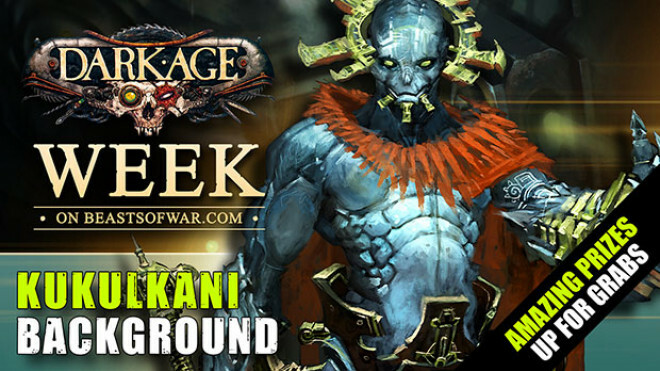 It's time to bow before the feet of Ancient Gods as we take a look at the Kukulkani from the world of Dark Age! 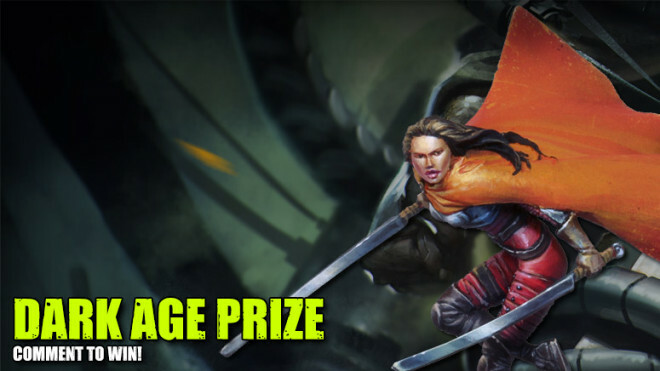 Get yourself a good pay cheque and work for the Bounty Hunters in the world of Dark Age as we take a look at their background. 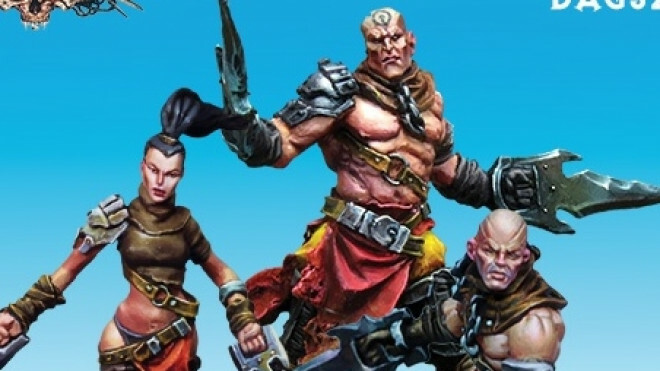 We've looked into their background and now it's time to see what the miniatures are like for the twisted Skarrd! 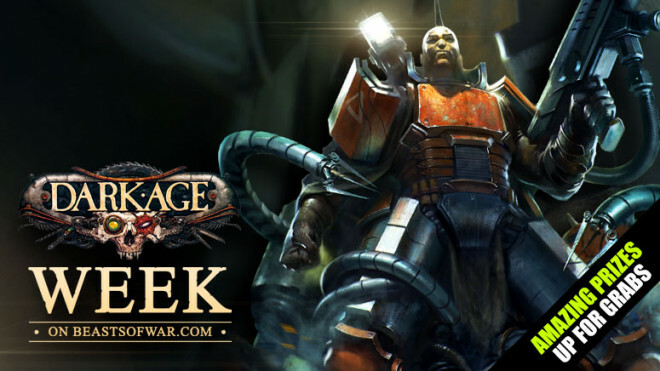 Will you be turning to the dark side and joining the forces of the Skarrd as they look for vengeance against the Forsaken? 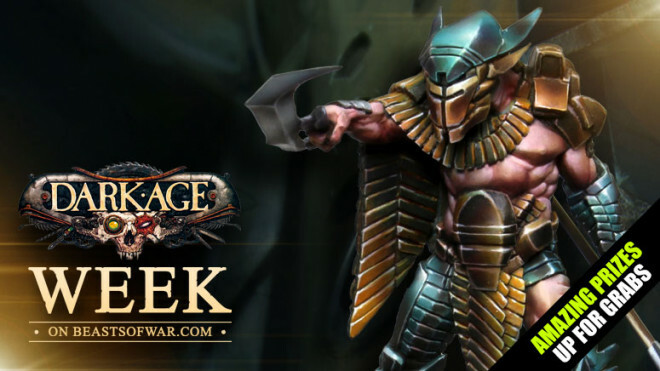 Dark Age Week – What’s Coming In The Future? 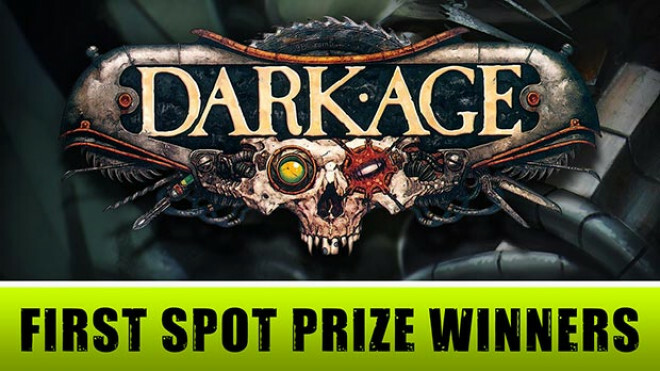 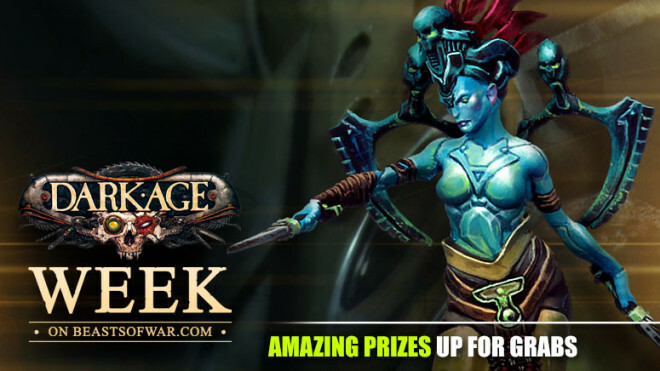 Time to find out who the first spot prize winners from Dark Age week are. 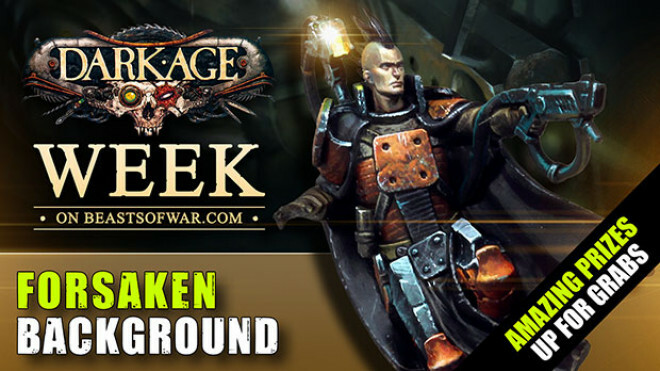 We're back for part two of this battle report/demo game where the Outcast are facing off against the Forsaken! 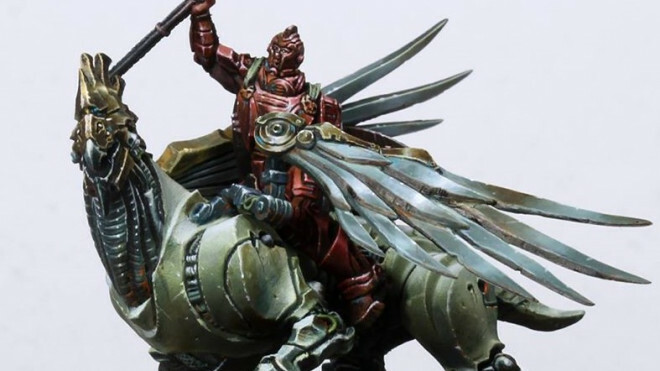 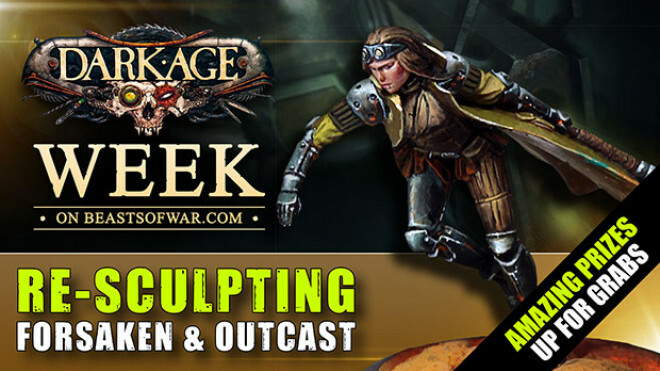 Learn about the decisions that went into re-sculpting the models from the Forsaken and the Outcast factions in Dark Age. 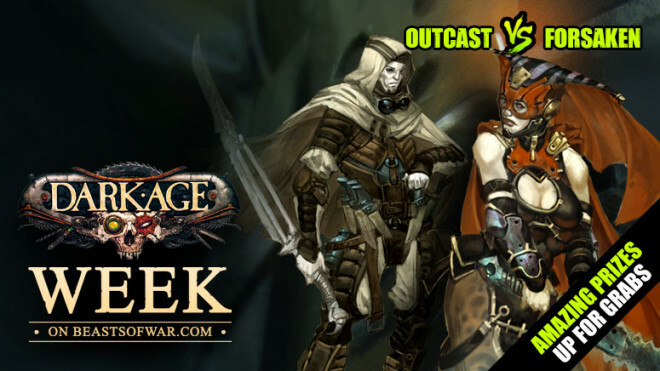 We've had a look at the Forsaken and now we're turning our attention towards The Outcast for Dark Age. 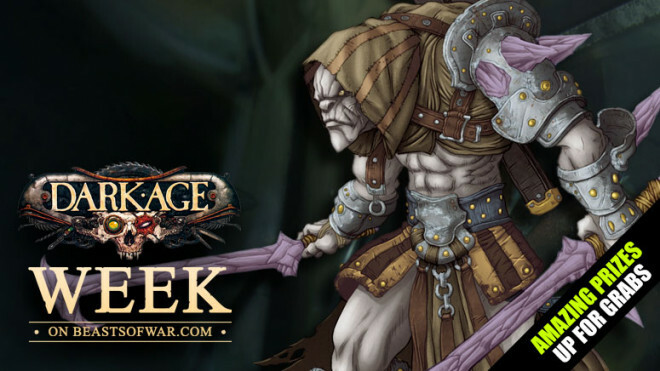 It's time to delve deeper into the world of Dark Age and look at the first of the factions for this week, The Forsaken. 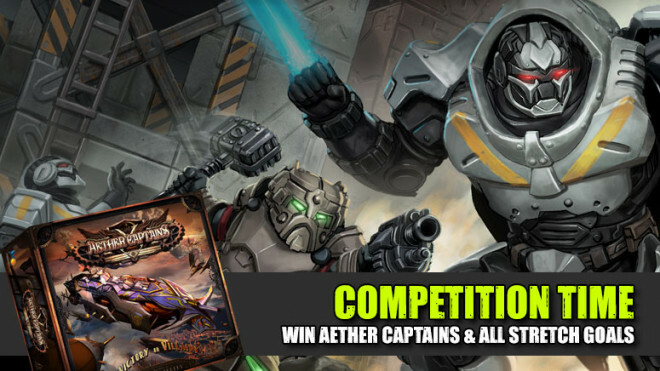 Join us for The Weekender as we Unbox Deadzone 2nd Edition AND give you a chance to win a mega Aether Captains prize! 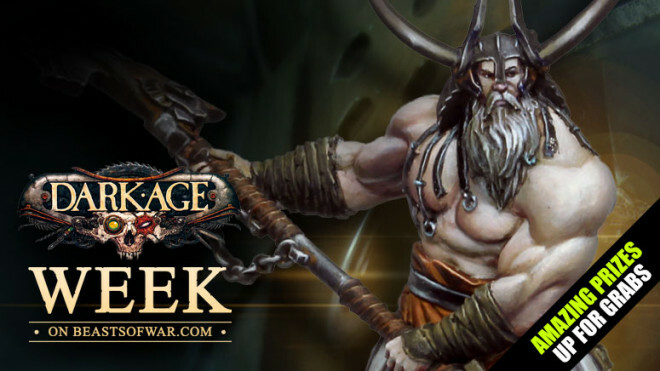 Dark Age Week Comes To Beasts Of War May 2nd! 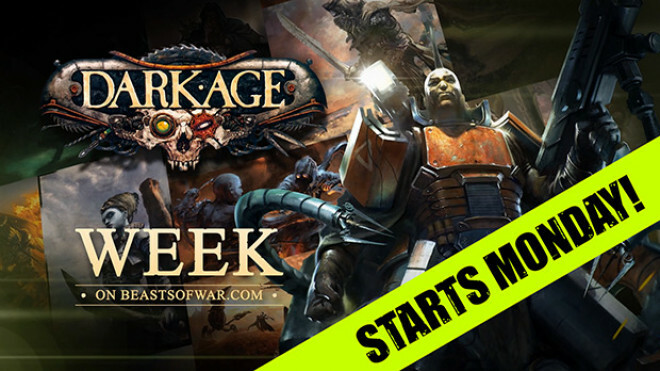 Get ready for Dark Age Week coming to your screens from Monday May 2nd! 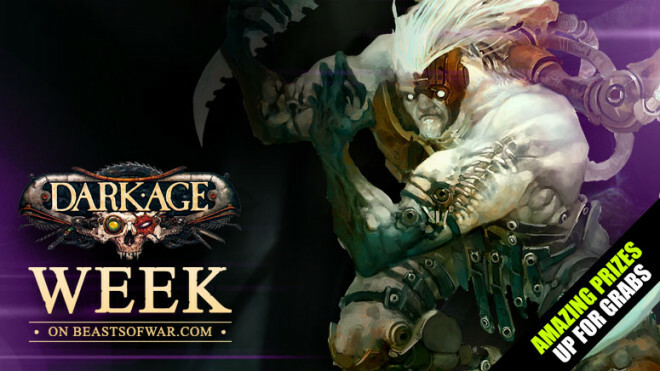 Dark Age week starts Monday!!! 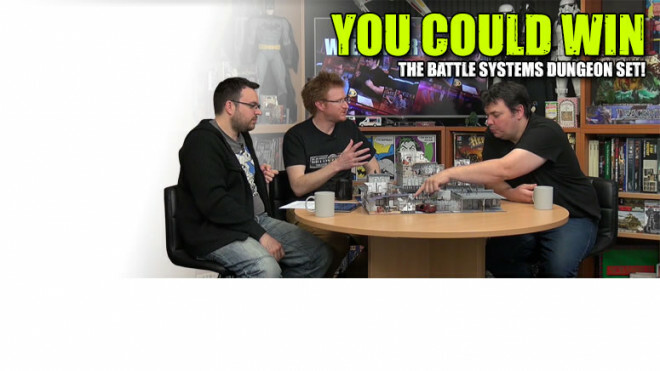 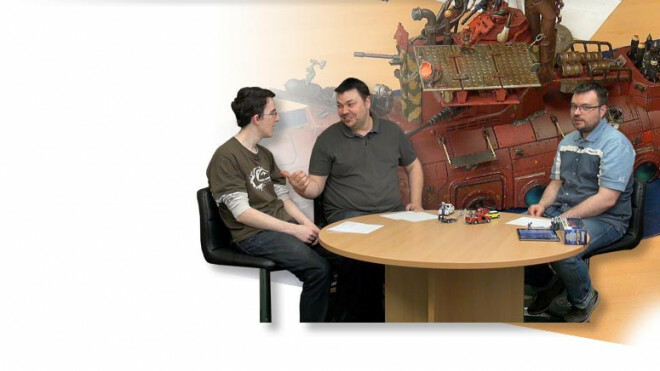 !, John & Warren show us how they built the gaming table. 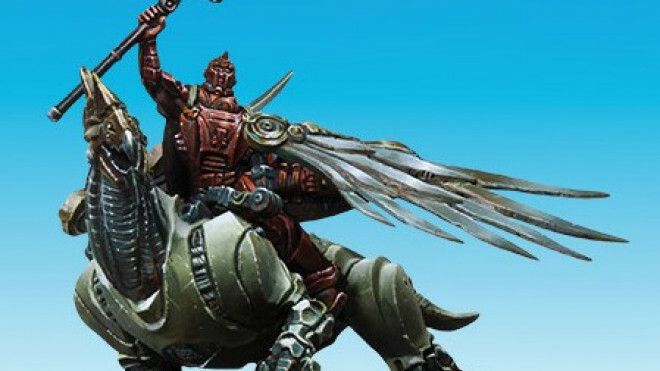 Dawn & Gianna will soon be off to Live Blog from yet another convention! 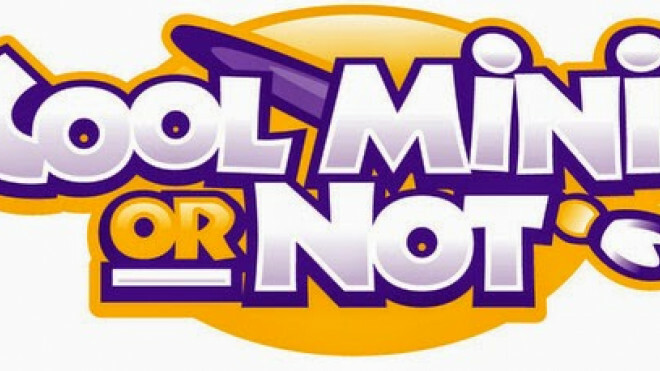 Follow along with the girls as they explore CoolMiniOrNot Expo, May 6-8th in Atlanta, Georgia. 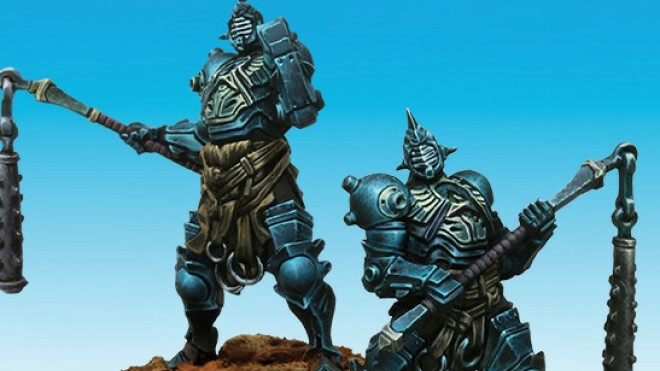 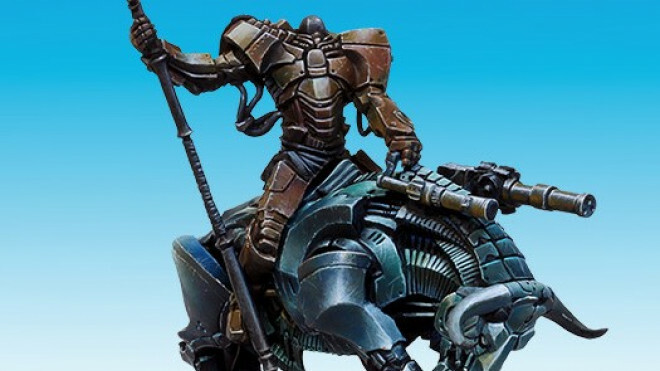 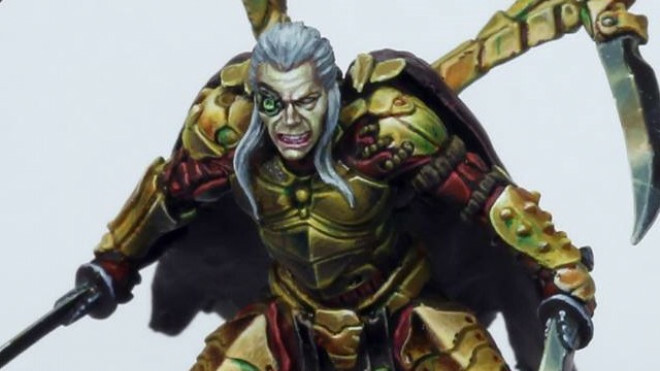 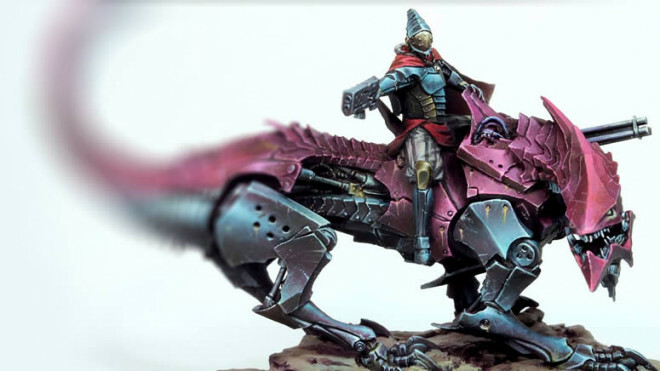 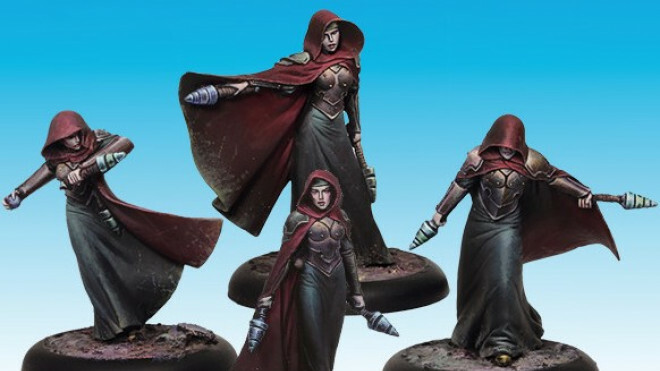 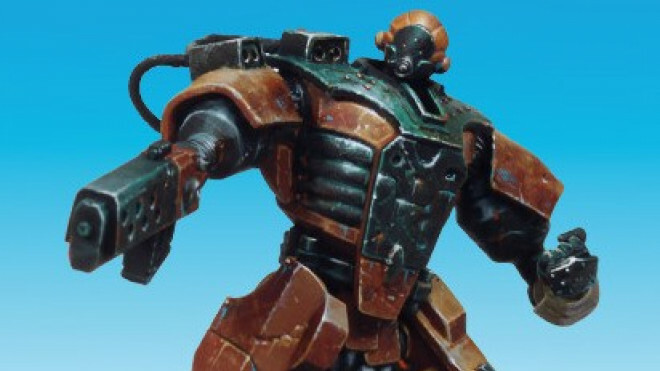 The releases for April have now popped up from CoolMiniOrNot for Dark Age and they have some rather fantastic sculpts on the way for you this month. 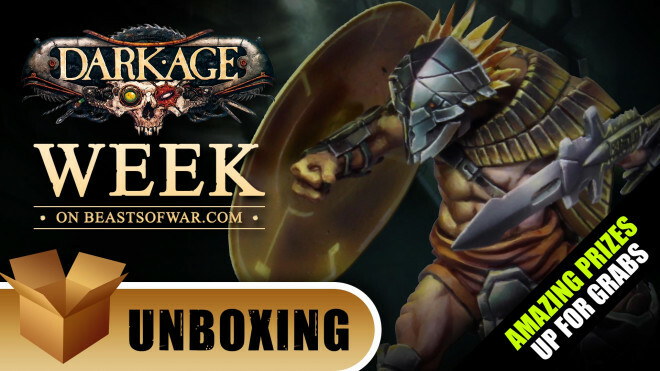 The Dark Age crew have a big bundle of new miniatures making their way to retailers this week. 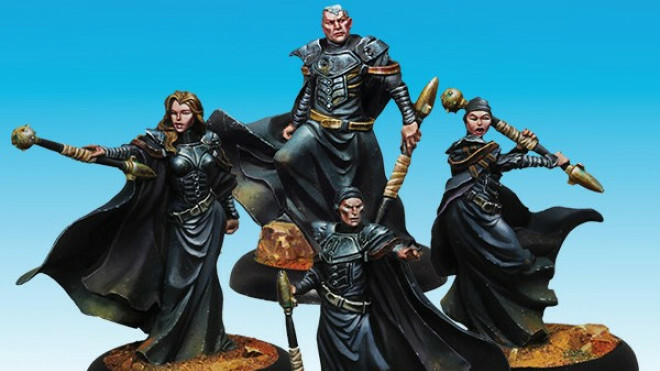 These squads and characters help build on the Saint Issac faction. 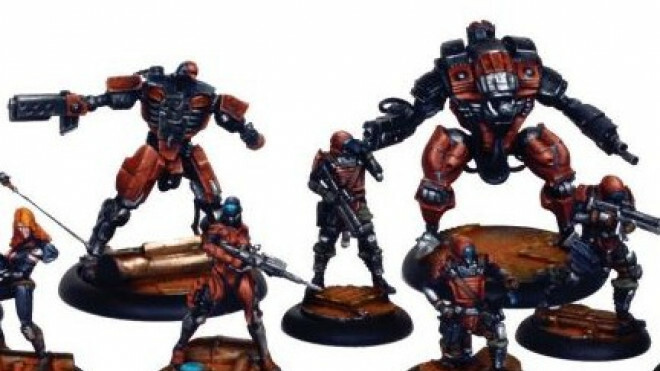 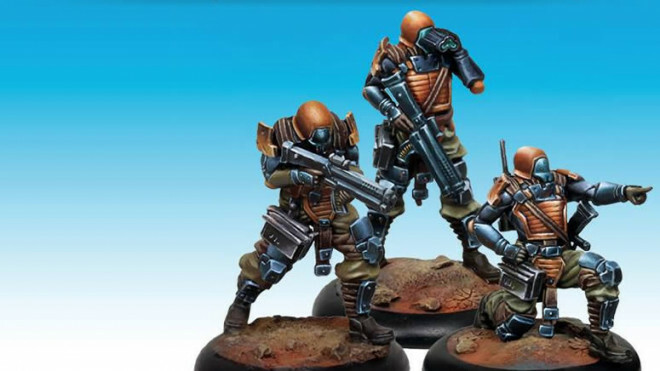 Weekender: DreadBall Season 5 & Gen Con Next Week! 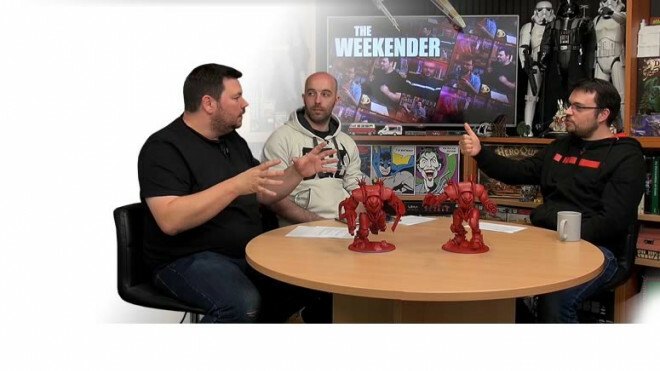 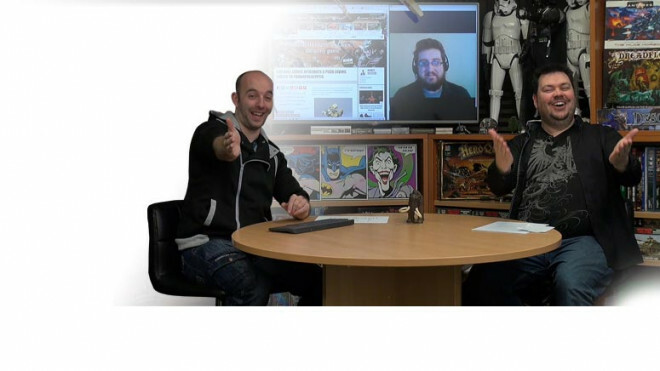 We've got loads for you this weekend including a deeper look at DreadBall AND preparations for Gen Con 2015! 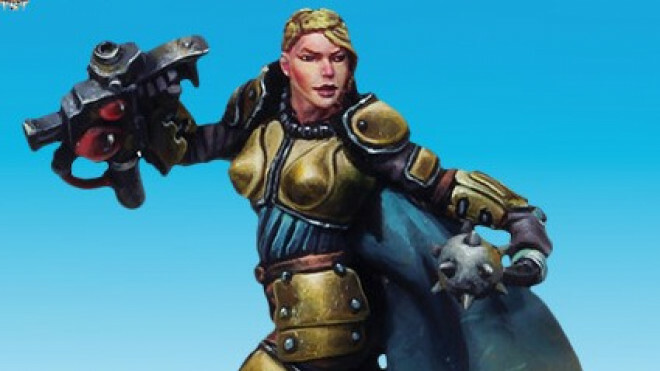 Man, Woman and Beast are beautifully represented in the Forsaken faction releases for Dark Age at Gen Con. 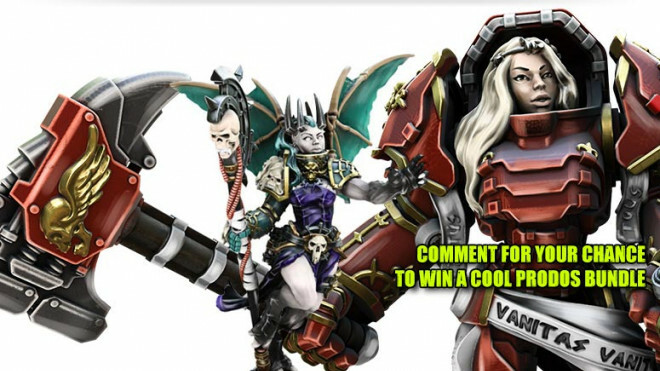 Stop by the CoolMiniOrNot booth to pick up the latest releases for the game. 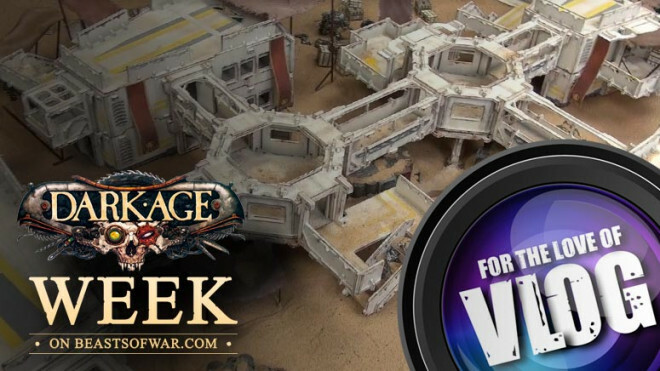 If it's a Mad Max kind of theme you fancy, then you should definitely check out the miniature game, Dark Age. 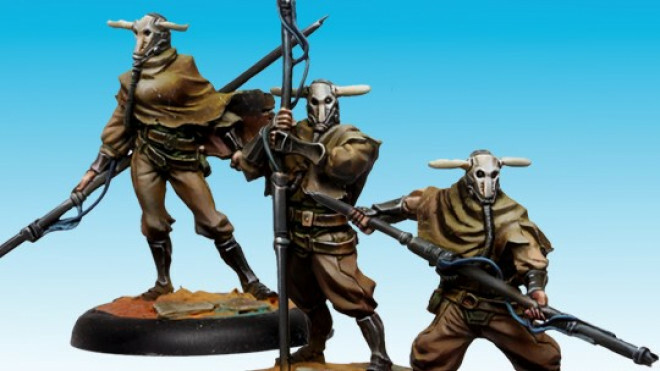 June is seeing some fantastic new additions to the motley crews for the game, including the Salt Nomads, The Slavers and The CORE. 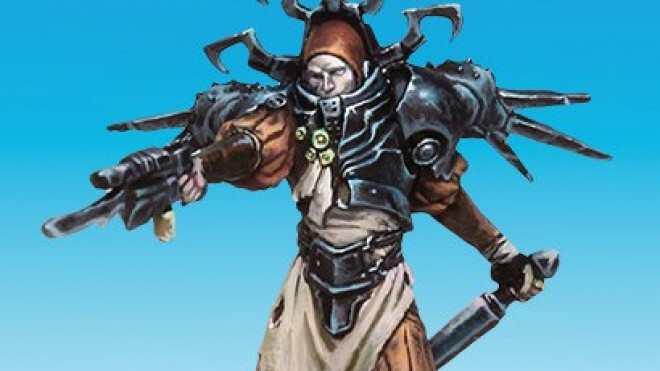 Weekender XLBS: How Do You Get Mad Max On The Tabletop?